The Freewell Gear DJI OSMO POCKET Grad Kit is excellent for capturing the most stunningly-detailed landscape photographs and footage. Gradient or ‘Grad’ filters are designed to perfectly balance the exposure required for the land and the sky, especially when taking landscape shots with your gimbal. Conventional gradient filters in the market are designed to only help you balance the exposure levels however Freewell Gear Cinematic Grad filters are able to slow down the shutter speed to capture truly cinematic aerial footage. Generally, to capture the perfect landscape aerial image or footage the exposure level between the sky and the land has to be balanced. Normally, the ground requires around 2-3 f-stops more than the sky so if you focus to control this level with a conventional filter, it tends to make the sky seem darker than you wish. The DJI OSMO POCKET Grad Kit is designed to balance the exposure required above-horizon and below-horizon, and simultaneously lower your camera’s shutter speed to capture movie-like aerial footage, in varying daytime lighting conditions, using the ND (Neutral Density) aspect of the multi-coated filter. The softer edges of the filter allow capturing more details in your footage with perfectly-balanced exposure. To enhance efficiency, the Freewell Gear Grad filters are laser-marked with horizon-lines to help you line up the perfect aerial landscape shot with your DJI OSMO POCKET gimbal. 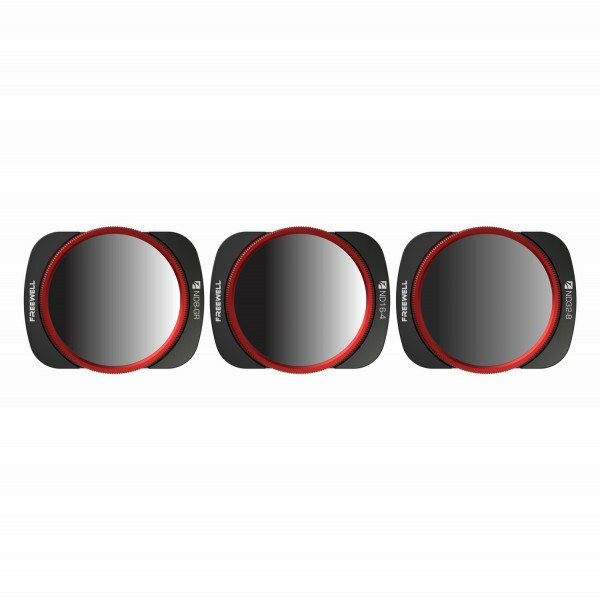 The multiple coating on the filters is designed to not only protect against physical damage such as scratches but also provide optimal protection against unwanted flares and reflections in your shot. The Freewell Gear DJI OSMO POCKET Grad Kit is designed to help professional aerial cinematographers in capturing the most detailed and crisp landscape shots, in cloudy, normal and bright daylight conditions. 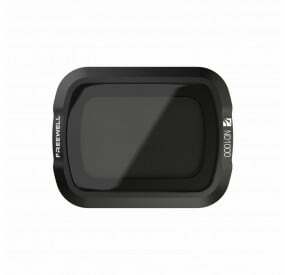 Freewell DJI Osmo Pocket ND8-GR filter – The Freewell Gear ND8-GR filter is designed to slow down the shutter speed by 3 f-stops. 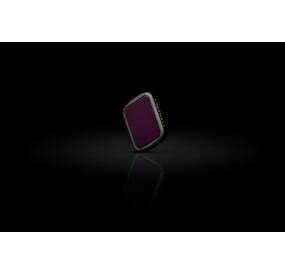 This helps to capture clear footage of landscapes at sunrise or sunset. Apart from this, the Grad aspect helps to balance the exposure between the sky and ground to produce cinema-quality footage. Freewell DJI Osmo Pocket ND16-4 filter – The Freewell Gear ND16-4 filter is designed to not only slow down the shutter speed by 4 f-stops but also control the exposure required above and below the horizon, to give crystal-clear, movie-like aerial landscape shots. This filter is designed for use in cloudy, and lower daylight conditions. 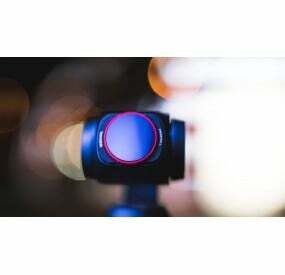 Freewell DJI Osmo Pocket filter – The Freewell Gear ND32-8 filter is designed to lower the light entering the lens by 5 f-stops, making is excellent to capture stunning and cinematic aerial footage, especially in bright sunny conditions outdoor. Freewell Gear has been the reason for prominent revolutionary gimbal accessories and filters. The brand has been helping professional commercial filmmakers from a long time to capture absolutely stunning cinematic videos. 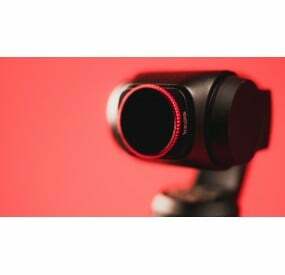 Freewell Gear has been the pioneer of several gimbal accessories, including the ND1000 and IR/ND filters, which were the first ever in the industry. Many competitors have been attempting to imitate our original quality however the advanced technology of Freewell has only been imitated, but never replicated to perfection.